The highest rated exterior remodeling company in Oak Ridge, North Carolina is Hatch Homes. We install and replace siding, roofs, windows, doors, gutters and shutters. Hatch is Oak Ridge’s local contractor that is partnered with the manufacturer of Hardie Board Siding. The importance of this partnership cannot be overstated. It allows our company to offer elite installation quality which is needed to meet the requirements of Hardieplank Siding’s warranty. Our siding company is able to provide this while keeping project costs lower than what other Oak Ridge siding contractors can match. The mission of Hatch Homes is to change the customer experience within the remodeling industry. Call us today to learn how we do this. Oak Ridge, North Carolina is the perfect city to call home! Oak Ridge rests on the outskirts of Greensboro NC nearby Kernersville, Pine Knolls, Stokesdale, Summerfield and Colfax. It is a quiet community made of close knit people. 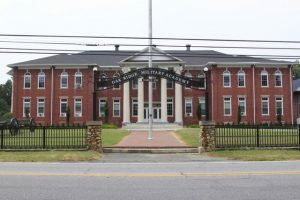 The Oak Ridge community is well known for the Oak Ridge Military Academy. Hatch Homes is Oak Ridge’s elite siding replacement company. Hatch Homes is Oak Ridge’s certified expert Hardie Board siding installer. Our company is a member of James Hardie’s Contractor Alliance Program. Hardieplank only partners with licensed and insured contractors who install the siding material to specification at affordable prices. The James Hardie and Hatch Homes partnership ensures that homeowners are receiving excellent services at cost-effective prices. James Hardie Building Products has identified Hatch Homes as Oak Ridge’s top exterior remodeling company. We are Hardyplank’s recommended contractor in the Oak Ridge community. Hatch also offers Mastic vinyl siding to our homeowners. Mastic vinyl siding is the best bang for the buck vinyl siding on the market. They have selected Hatch Homes as one of the handful of companies they partner with in the Carolinas. Hatch Homes installs and replaces windows of any shape and size. Double hung, picture frame, sliding windows, etc. Our company installs windows of any style or design. Our company is a factory trained and certified window technician for Simonton, Atrium, and Interstate windows. We offer vinyl windows, wood windows and composite windows. Hatch provides the Oak Ridge, North Carolina community with window installation that can suit any style or budget. Need a new roof? We can help. Hatch Holmes is a licensed, insured, and factory certified roofing contractor in Oak Ridge, NC. We install Atlas roofing products, TAMKO roofing products and Certainteed roofing products. If you can dream it, we can roof it. Our company works with roofing materials from asphalt shingles to metal roofing systems. Contact Hatch Homes to learn more about our roofing system installation and to schedule a free roof inspection and consultation today at your home Oak Ridge home.